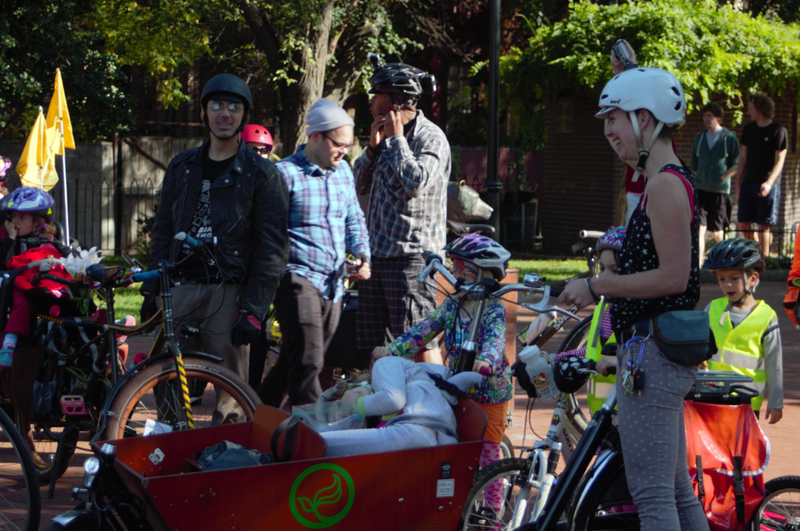 Happy Autumn, Philly biking families! Our next ride is October 25, 2014. We will ride from Fitler Square at 11 AM, up 22nd Street. Here is the facebook event to RSVP or ask questions. This ride is a little bit ‘costume party’ and a little bit ‘awareness ride’. We are inviting anyone from the Philly area that is interested in the 22nd Street bike lane situation to come ride with us. If you’re new to the drama, a local council person is trying to shut down the Streets Department and MOTU plan for a bike lane on 22nd Street between Spring Garden and Fairmount. His reasons are mainly that he thinks his bus ride home will be longer, that his constituents don’t want a bike lane, and that bike lanes don’t make pedestrians any safer. More information about the situation, and a petition you can sign, ARE HERE. 81% of 22nd St neighbors strongly approve a bike lane, bike lanes actually increase all mode speed, and bike lanes make streets safer. This report from the National US DOT proves to be interesting and we look forward to protected bike lanes being the standard ASAP. 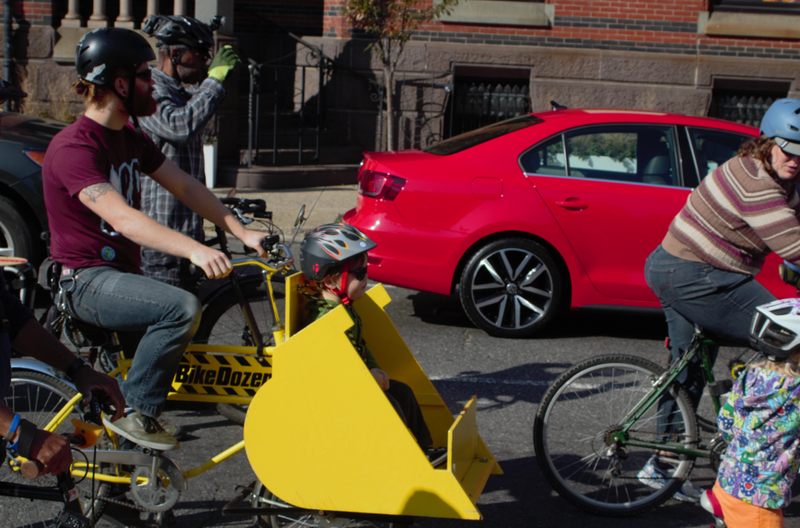 On November 8, 2014, we will be doing a ride to the Philly Bike Expo. Meeting at Fitler Square again and riding a short trip to the Convention Center. This is a short ride that is great for younger, independent riders (no training wheels please). 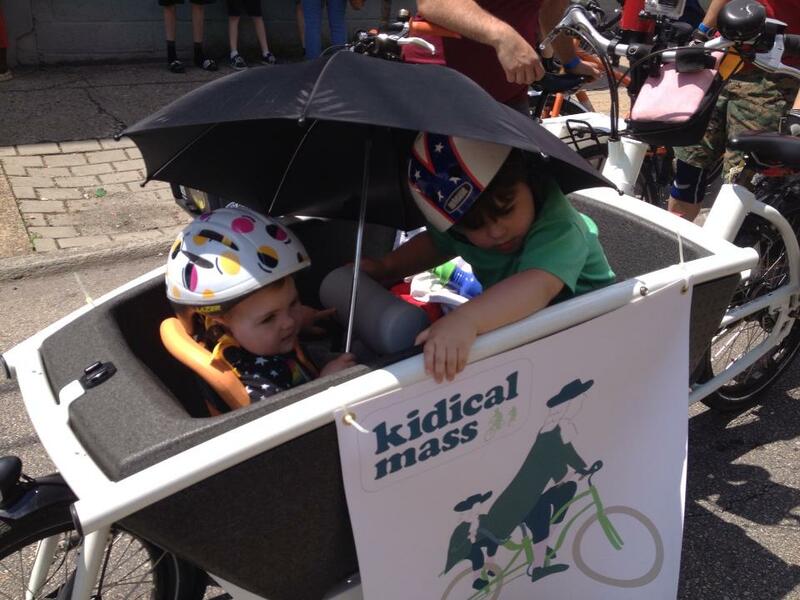 At 1:30 PM, Dena and Marni will be holding a Family Biking 101 forum at the expo. Tickets can be purchased at Firth & Wilson Transport Cycles or online.